We visited local church kitchens, consulted users and relevant guidelines to decide what we would need. We agreed a design, obtained quotes and started fundraising and applying for grants. We were delighted that in just nine months we had been awarded grants of over £75,000 and received donations of over £15,000 which together with money raised from events enabled the project to go ahead over the summer holidays. We are very grateful to the many grantors and donors. 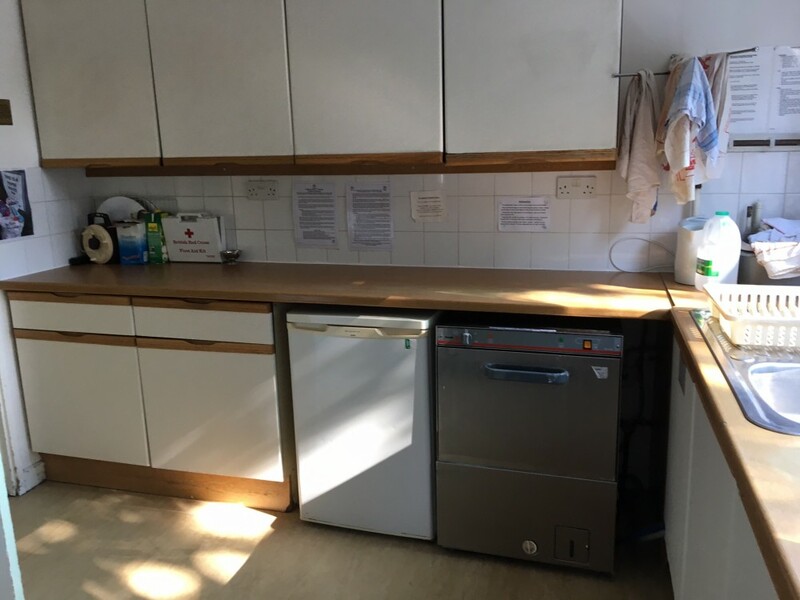 The kitchen is now in use and all the many groups that use our hall can continue to enjoy food served from our new kitchen and the companionship that goes along with that. These groups include our monthly Community Lunch for the elderly, our monthly Messy Church for local families, our recently launched monthly Vintage Tea, the Winter Night Shelter for rough sleepers and the weekly Parent and Toddler group. Voluntary Action Reigate and Banstead are also looking forward to coming back for a third year on Christmas Day to provide a lunch for those who would otherwise be on their own. Our kitchen has been transformed! There is still some work to be done to areas around the kitchen. Please help by donating directly via the Parish Office, making cheques payable to “St Mark’s PCC” . You can also donate via our BT MyDonate page. We are also organising a number of fundraising events. Please do come along - tickets are available from Ticketsource using the links below or from the Parish Office.